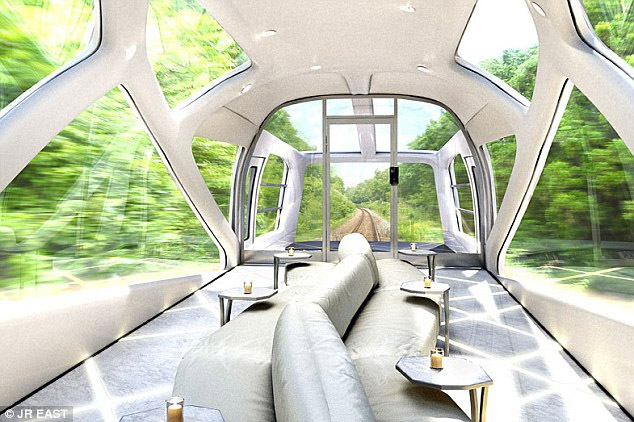 Japan is set to get a new luxury sleeper train with spacious modern cabins designed by Ken Okuyama, who’s best known for his work with Ferrari. The $50 million Cruise Train will run on both electric and non-electric rails and feature large glass-paneled windows, high ceilings and leather seating. Envisioned as the future of train travel in Japan, this designer creation won’t be for everyone: it’s got a max capacity of just 34 passengers. Expected to lance in the spring of 2017, Cruise Train is essentially an upgrade of the ‘Seven Stars in Kyushu,’ a deluxe sleeping car excursion train that’s been in operation since late 2013. 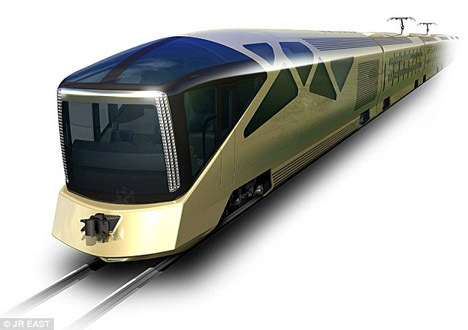 The new design appears to be far more open, stylized and modern than that of the Kyushu train, with Okuyama clearly taking a lot of inspiration from luxury personal vehicles. 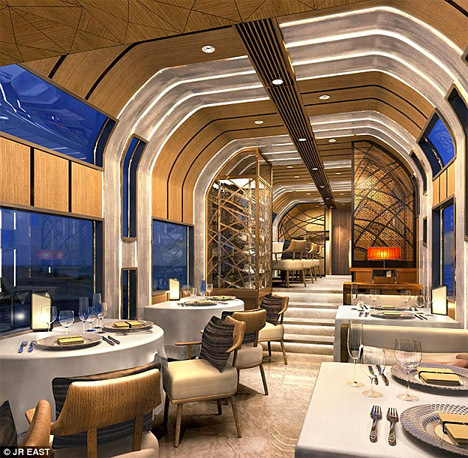 The ten carriages of the Cruise Train will include two observation areas with glass walls so passengers can take in the views as the train passes through the countryside. A two-story deluxe suite car with two beds on the lower floor, a private bathroom and a lounge room upstairs will be available as well. There’s no word yet on just how much it’ll cost to experience the Ferrari of trains, but it’s safe to say that it won’t be a bargain.